CALL FOR DISCOUNTED PRICING ON BULK ORDERS! 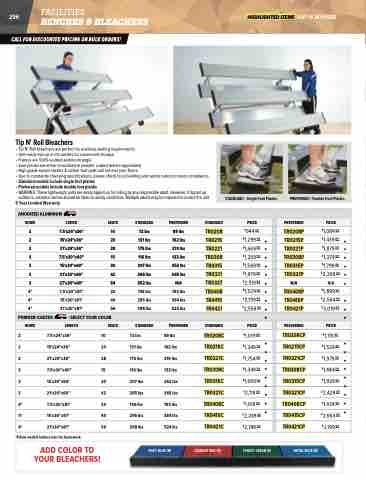 • Tip N’ Roll bleachers are perfect for auxiliary seating requirements. • Unit easily tips up on its casters for convenient storage. outdoors, extreme caution should be taken in windy conditions. Multiple adults may be required to control the unit. *4 Row models feature low rise framework.